Please note the login below will direct you away from this site to Thomson Reuters portal site. Proper security credentials will be issued to your browser once you have landed on their website. Watch the video below to learn more about what most people forget to deduct on their tax return. Watch the video below to learn more about key business areas on which the IRS continues to focus to better prepare your business for an audit. 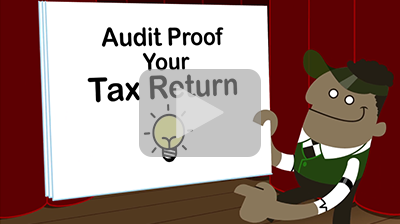 Click to watch this video that will offer ideas to audit proof your tax return.